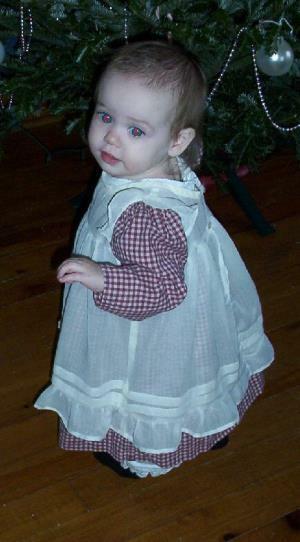 Heirloom baby dress is great for those special occasions. 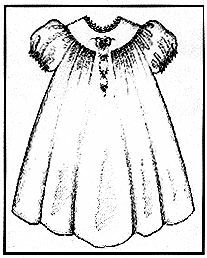 Along with tiny pleats down the front, the dress features three choices of collar styles or a simple banded neck. 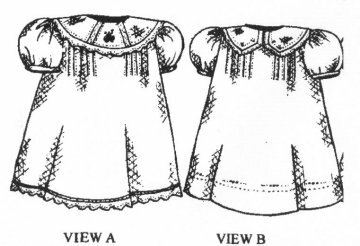 This dress is easy to make and includes clear heirloom instructions and embroidery designs. Sizes 3 - 24 months included.